Keeping track of news about Catalonia is becoming a full time job! As always, check back later as I will be updating throughout the day. "Spain's deputy prime minister, Soraya Saenz de Santamaría, warned that the government would stop any attempt at a unilateral referendum, effectively challenging the Catalans to either desist or break the law and face the consequences." "The risks, Mr Feriche argued, could even energise the Catalan economy: “Personally, I adore Spain. But independence might galvanise us. It could inject creative energy into the way we do business.”"
"Just as the Catalan parliament voted, Spanish deputy Prime Minister Soraya Saenz de Santamaria said the country's government is dead-set against such a referendum, and will use "every tool at its disposal" to stop the referendum from being held." 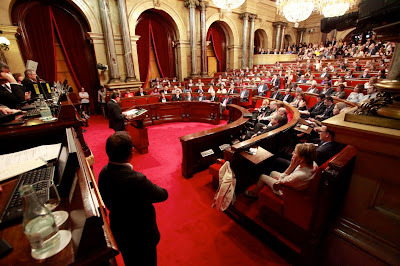 "Catalonia’s regional parliament has voted to stage a referendum on self-determination with a view to possibly seceding from Spain but the national government has warned it will have it stopped by the country’s top court." "The vote was held minutes after Deputy Prime Minister Soraya Saenz de Santamaria told reporters the national government was prepared to prevent any referendum." "Financially speaking, Catalonia is perfect for Spain," said Osvald Calzada, 32, a copywriter from Lleida, in the western part of the region. "Catalonia is the cow they constantly milk, only giving her enough grass to survive." "Well, there’s nothing necessarily wrong with “nationalist sentiment.” If a majority of Catalans wish to go their own way, all power to them. " "There’s nothing particularly unusual about one part of a country subsidizing another. The problem starts when those doing the subsidizing don’t believe that they are really part of the same nation as those who are receiving their largesse. Many Catalans clearly feel that they do not belong within a united Spain. " "In an echo of the wider euro-zone crisis, Catalonia's case for greater control of its finances rests on the fact that it subsidizes the rest of Spain, paying more to the central government than it receives back. It accounts for 18.7% of Spanish GDP, the highest of any region, making it bigger economically than Ireland or Portugal." "What market participants are beginning to realize is that Catalonia’s independence could push Spain out of the Eurozone – no matter what the ECB does. The region’s economy is critical to Spain and the Spanish government desperately needs the tax revenue from Catalonia. The government’s budget target for 2012 looks untenable as is. 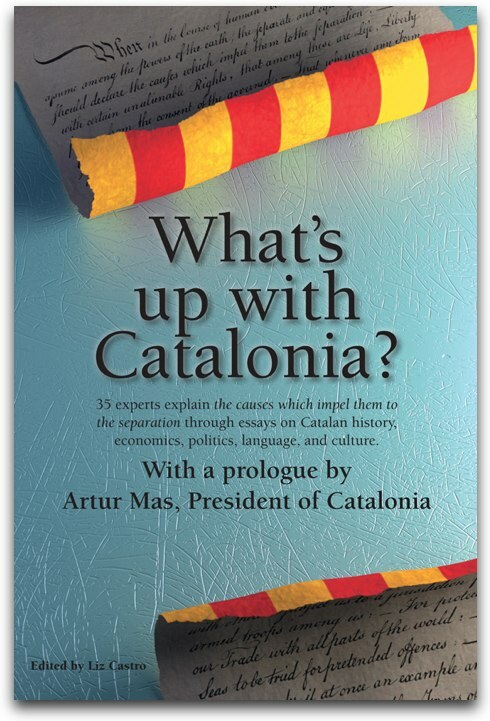 Without Catalonia, the Spanish economy and Spanish government finances would simply collapse." "The regional election will effectively be a referendum on the political future of Catalonia, and neatly sidesteps Madrid’s objection that referendums should cover all of the Spanish territory. "